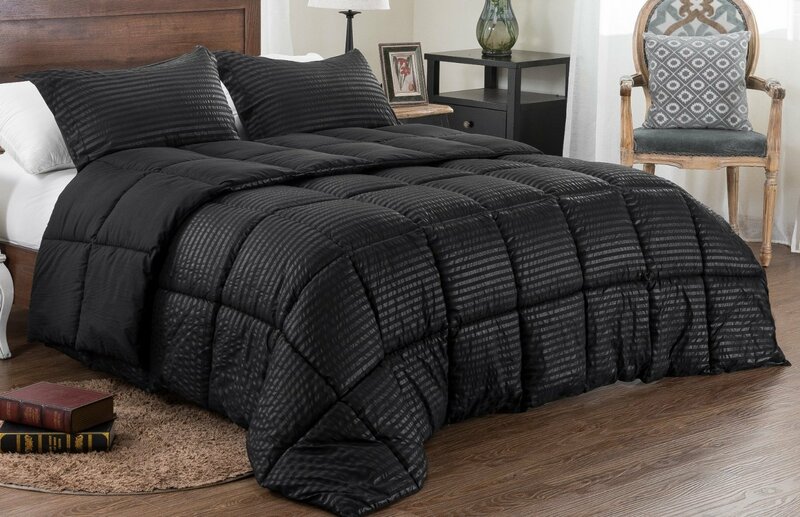 The elegant and durable pinch pleated shell is constructed with microfiber and utilizes a box stitch design to avoid shifting of the 100% polyester filling. 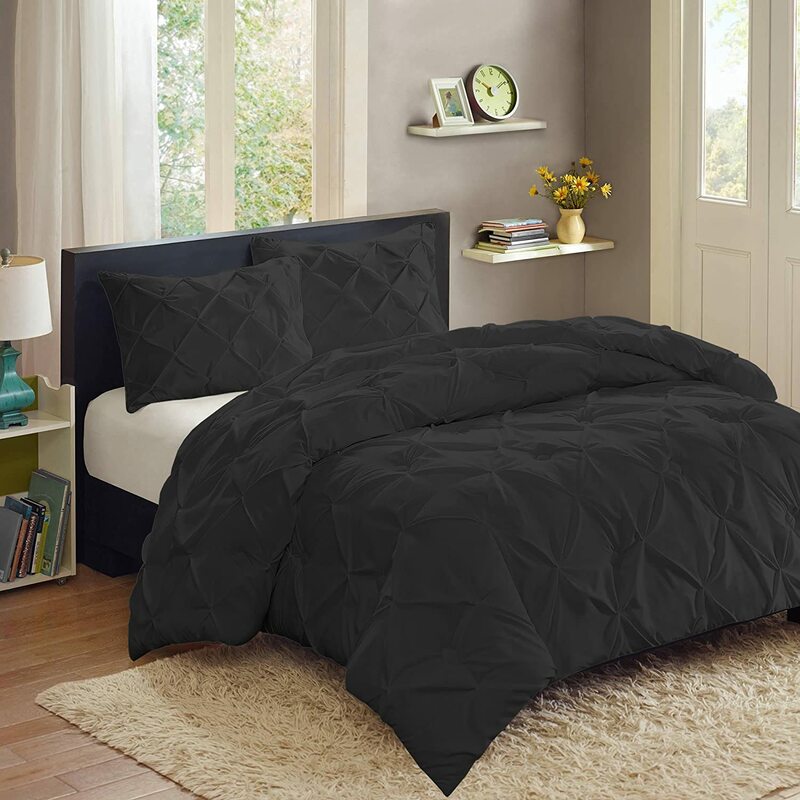 This beautiful Comforter Set has 1289 Customer Reviews. White, Black, Hunter Green, Burnt Orange, Burgundy (Red), Blue, and Charcoal. 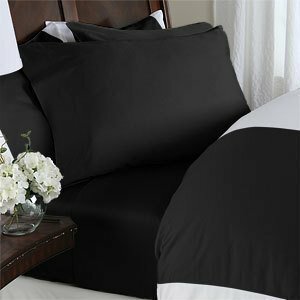 The pinch pleat comforter will bring a luxury look to any bedroom at a non-luxury price. It is is machine washable and only gets softer with every wash.
NEW TECHNIQUE that highlights a pinch pleat style with ruffled and pleated design that allows you to be comfortable, warm and have a great sense of style. 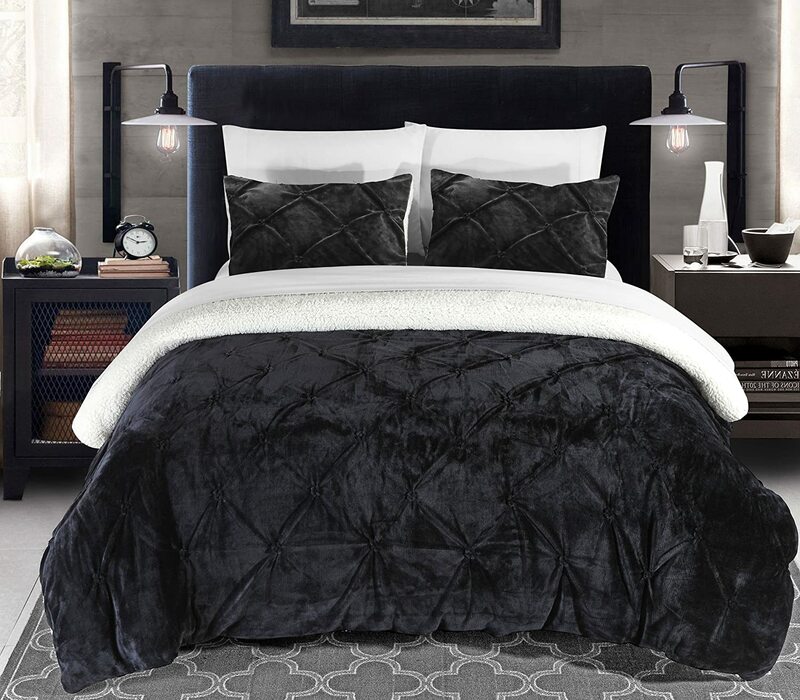 Stunning winter colors to enhance any room or decor.